First Hit: This film’s scenery was to die for, but the film died a long slow death. The scene is a far northern section of Alaska where Anchorage is way south. It is cold and the land beautiful. An oil refinery is where all the workers toil and in a bar is where they play hard at night. As the opening monologue states, most of the people working here are parolees or are guys who are very hardened by the life they’ve led. Ottway (played by Liam Neeson) is a protector. He protects outside workers from beasts who might see the workers as food. It is mostly wolves he has to shoot. Ottway has many dreams of his wife who has passed away. He’s lonely and likes to be left alone in his sadness. A group of workers are headed back to Anchorage for an R&R. The scene of them loading the plane shows how intense the storm is. They are deicing the plane until it takes off. There a large bumps as they fly and most everyone is on edge. The plane crashes and only 7 survive. There is a good scene as Ottway escorts one of the dying to their death. The 7 survivors are tough in their own way and Ottway immediately takes charge. Of course he is challenged. Wolves surround and start to track the survivors and begin to pick them off one by one. Only Ottway has some intelligent information about how the wolves act. He notes that alpha wolf is in charge. This is a story about survival, religious beliefs, men, and alpha men. The animatronic wolves were mediocre at best and the alpha was black in color (so why was it called Grey). The mixing of religious and non-religious beliefs didn’t work well and the scene where Ottway is speaking to God asking for some direct sign is a copy of Paul Newman in Cool Hand Luke where Luke stands in the church yelling at God for a sign – he got it and so does Ottway. Neeson is always a strong character regardless of the lines his character has to say. Here he says them with authority and strength, his character is believable. The rest of the cast was good but nothing outstanding. The problem with this film was the laborious script and the direction. 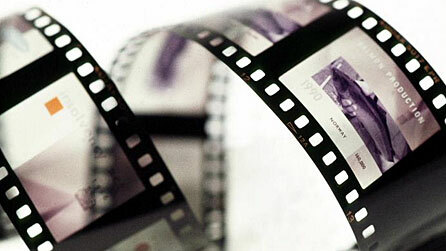 The film needed about 20 – 30 minutes cut out of it to make it work. Joe Carnahan and Ian Mackenzie Jeffers wrote this overly cooked script while Carnahan, as director, didn’t reign in the scope. The cinematography of the area fully captured the cold intensity of the foreboding area of the country. Overall: If you’ve got two hours to kill on a Sunday evening watch the DVD version.